Fortified wetlands can protect shorelines better than hard structures. Surprising data show that in many places marshes protect shorelines better than walls and are cheaper to construct. Scientists are perfecting techniques for rebuilding tattered wetlands, creating custom configurations for individual shorelines. 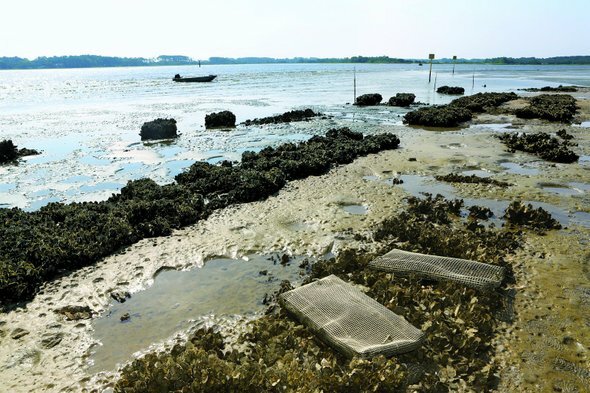 Governments and disaster planners are starting to give more consideration to living shorelines, and money to restore them is rising. Historically, almost all money spent on coastal defense has gone toward “gray” infrastructure: seawalls, bulkheads, levees and rock revetments. That is beginning to change as researchers become more sophisticated in measuring the long-term impact of “green” coastal defenses. Insurance companies and governments are finally taking notice and might actually turn the tide toward living defenses. Around the time that Hurricane Irene was barreling up the East Coast, Michael W. Beck, a research professor at the University of California, Santa Cruz, and then lead marine scientist for the Nature Conservancy, was initiating a collaboration with the insurance industry that today may begin to change coastal conservation.